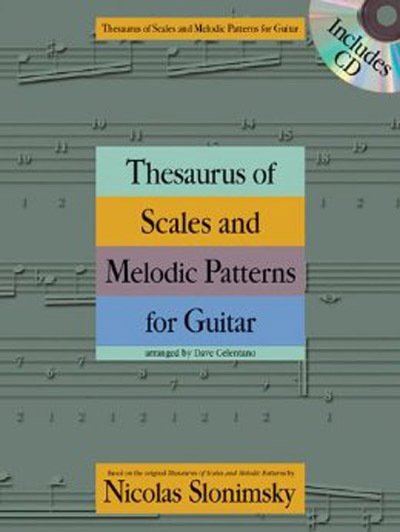 This book is a condensed, made-for-guitar version of Nicolas Slonimsky's publication Thesaurus of Scales and Melodic Patterns – the book that musicians as diverse as John Coltrane and Frank Zappa used for ideas and inspiration. Musicians familiar with the original Thesaurus know that it contains a daunting amount of information crammed in it's over 230 pages. But there is a definite symmetry and logic in these Slonimsky examples. What appear to be random patterns are actually mathematical combinations of some or all of the twelve notes in music. As the musician/student plays through the examples, the patterns will unfold and become more obvious.